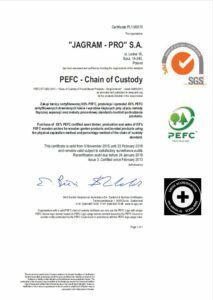 The accreditation we have received confirms the high quality of the product at each manufacturing stage, from the moment of sawn timber arrival, until the product is accepted by a customer. 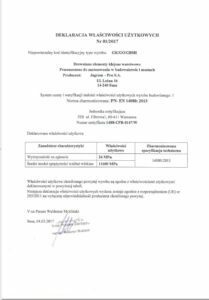 Our certificates are official, and you can approach the auditing organisation by stating our number. Products from other companies without accreditation often do not meet these standards. These products may not deviate visually at the beginning but differences may start to appear during the installation. Regarding, execution, precision, fitting or durability. There are no other standard compliance certificates than the ones below. 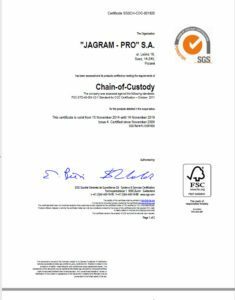 If a company is boasting of having certificates and/or meeting the standards, then check the product before purchasing! is a global standard for enterprise functioning. - minimum bending resistance of a wedged joint is 24 MPa (stated in a declaration of performance parameters). 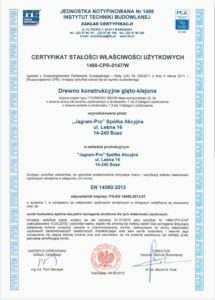 - the adhesive used for the structures is Purbond HB360–stated on the certificate. 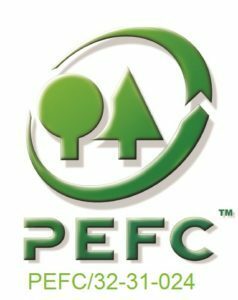 PEFC™ – Programme for the Endorsement of Forest Certification. 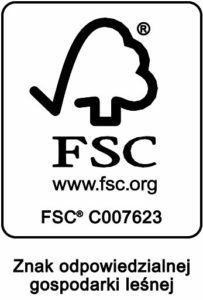 certification and labelling system for forest material products. from a material, which was recycled and/or is from a controlled source.